Most of the names has its own history rooted in ancient times. So your name can I ask, who were your ancestors and what they were doing. To know the history and origin of a kind – here is an example of respect for the memory of ancestors. Currently searching family roots are actively engaged historians. This, of course, does not mean that they trace everything, but the most interesting, popular or, on the contrary, a rare name, they describe. View specialized publications and websites, maybe you'll find his name. Try to look for the origins of the method of analogy and semantic analysis. Look through dictionaries and reference books, understand that means your surname and where she went, often the name became the name of profession of father: "the son of a blacksmith – blacksmiths", etc. Most of the princely families and the boyars, and then formed from the name of the lands that they owned. For Example, Shuya, Meshchersky, Vyazemsky. But all the name of this type of Prince, maybe it's just an indication of the area from which the person arrived, a Jewish name is formed based on this principle. Very often the name of non-Russian origin then Russified, for example, Sarkisian could become Sarkisov. There are names from the names from the old Testament (Sodom, Israel) and New Testament (Nazareth, Vifleemsky). The names could also be formed from adjectives, the data of some saints (Theological, Magdalinski). Some seminarians were given names that somehow reflect certain traits of the seminarian (Smelov, Veselov, Tikhomirov, Dobronravov). The largest share of the Seminary's names are so-called geographical names. They did not come from the name of the diocesan cities, towns and villages smaller, as the training took place in the Seminary of his diocese. When the seminarians came from neighboring provinces, the name was produced from the name of a Cathedral city. For example, the surname Ufimtsev, until the mid-19th century in Ufa diocese were not bishops of the chair, so went to study in the neighboring province. Also examples of geographical names seminar will be Krasnopolsky, Novgorod, Belinsky and others. Pedigree by name recently become the most common form for the compilation of the genealogical tree and calculate all the relatives of all generations until the very last who bore the same name. The genealogy of the last name to know it is possible, however, please be aware that in this case, you will be available and known to General information about family, family tree will have lateral branches, and will testify only about those relatives, which bore the appropriate name. It is clear that the same surname can have several pedigrees several options for families. Thus, it begs the conclusion that to make the precise origin of the surname is not enough, that is impossible. In compiling your family tree, you need to know and researching your ancestors from whom you got this name. However, the name eventually changed, and some disappeared or would show up the last letter, which is why it is important to know the origin of the names, to walk up to the first founder of your family. Thus, the name is kind of a clue, the clue that will help in the study of your ancestry, but you can't do without special genealogical research and studies. If you except his name don't know anything else about relatives, you can use a simple free service on the Internet, where putting the name, date of birth and some other data, you will receive one or more variants of the family who can treat you. However, if you want to know exactly their family and the history of its appearance, it is best to turn to professionals, which respectively are not for free, will produce the necessary research and provide you the entire list of founders of your family from the first to the last generation. Many people at least once in their life wondered who were his ancestors? Farmers, merchants, and maybe even the nobles or personages of Royal blood? What they were doing – were doctors, officials, merchants, politicians or actors? Where they lived, whether Russians or foreigners? Unfortunately, in modern families seldom store information more than about two or three last generations. So how do you know your ancestry? First of all, gather information, digging in home archives. It is important to know everything – names, dates, addresses, occupations. If you still have old photos, then they can be written the name and address of the Studio where the pictures were taken. Your grandparents could overleaf to record names and dates depicted in photos of people. On the old envelopes have home addresses in letters and diaries of private information. After an initial phase of information gathering can continue the search in the Internet. There is a huge amount of data. If your ancestors engaged in social activities, were scientists, occupied some important office, then all this could be reflected in any books, articles, references on the history of institutions, cities, etc. you May also have to go to the library and find books, magazines, brochures which are not posted on the Internet. All information about our lives one way or another is preserved in the archives. Birth certificates and death data on education, awards and other achievements. If you know where your ancestors worked or studied, please contact the archives of these institutions. If you have managed to trace the family history over the last century, then further research must continue in the urban archives. Metrics, data on military service, the inhabitants of villages and towns and more can all be found there. You can do family history on your own or to hire a specialist. 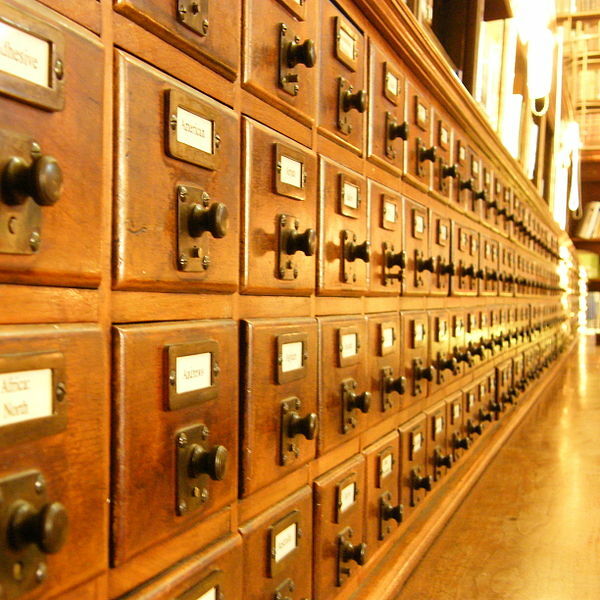 In many archives staff receive requests for the compilation of genealogical references. However, one must keep in mind that their services are paid. But some archives even for money such information is not given, so be prepared that you will have to understand hand-written documents on their own. In the Soviet Union interested in the history of the genus and the roots of their names was dangerous. For such curiosity people often get in jail. Especially when it became clear that the ancestors were of noble origin. And currently have a home a family tree has become very prestigious. To begin, try to find the roots of their names independently. Talk to your parents, grandmothers, grandfathers and other older relatives. Get a notebook and write down everything they know about their ancestors. Find information about relatives like the mother and the father. When information is sufficient, take a sheet of drawing paper. Upstairs, write down the names, patronymics, surnames, date of birth and place of residence the most ancient ancestors, which was able to find out. Find out how much time the grandparents were married and what was the name of their husbands and wives. As they had children, and when they were born. Find as much information as possible about the profession of their ancestors. Perhaps someone was a blacksmith, so you Kuznetsov. Someone was in the army, so your name - Streltsov. And someone's ancestors were fishermen, and now they Karasevy. Another nickname was given because of the peculiarities of appearance - Ukhov, noses, etc. Might be you have kept this a family trait. If information gathered from relatives is not enough, go to the Internet. 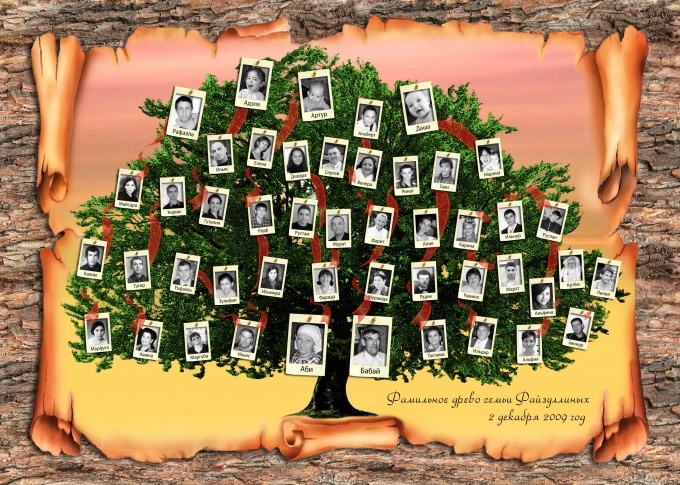 Sites such as: http://gendrevo.ru, http://familytree.narod.ru and others will help you to learn the history of names. Do not use the services of portals that offer to send SMS for registration and recruitment information. Resources-the crooks who can withdraw money from mobile phone account and will not help. Look for websites that host a list of names and a description of where they occurred. There is also a chance to find their distant relatives, write them a message and continue the collection of information about the origins of my surname. When the name is very rare, or the data about it to find it did not work, contact specialized centers. Their professional staff will make your family tree, thoroughly examining historical and archival information. In addition, they have access to the data of the institutions for the study of the origin of surnames. You will provide complete help for a family history. The document will seal seals and confirm information from the archives. Of course, these services are expensive. But you will have access to reliable information, which will allow you to be proud of what you've learned so much about my own ancestors. Drawing a family tree has become a fashionable hobby recently. Many people are trying to find out the history of sort of the origin of names, names of ancestors. This is valuable for future generations, which can finally lose the link with its own past. To learn the history of his family, hang out with the older relatives. It can be grandparents, aunts, uncles as mother and father. Ask them what they remember about their own ancestors. If they know their names, surnames, nicknames. How many of them had spouses, how many had children. Who was in the profession. All the data record in a notebook. They will be very valuable for further research. Received from the relatives all the necessary information, go to the Internet. 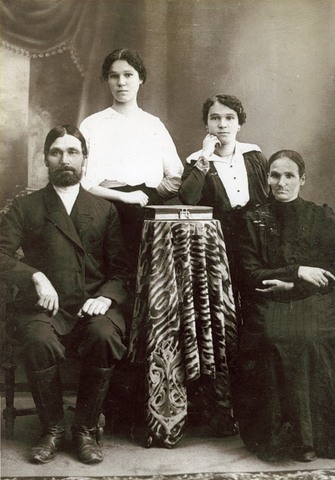 On such websites as http://www.familytree.narod.ru/ and http://www.gendrevo.ru/, completely free to know the history of their name, and find distant relatives. In any case, do not use the services of the resources that are asked to send an SMS to register on the website. Most often it is the crooks who will just withdraw money from the account of the mobile phone. All found data transfer in the notebook. By grouping them together, it will be easier to trace the formation of the surname. If you find enough information alone did not work, contact specialized research centers involved in onomastics. They study the origin of names and surnames. Their services are paid. However, you will write a paper, sealed with seals, in which all such records pertaining to the history of the origin of your kind. You can be sure that made a really serious work with documents in storage and to isolate what explains the creation of your name. Draw a family tree. In the diagram to understand the origin of the names much easier. 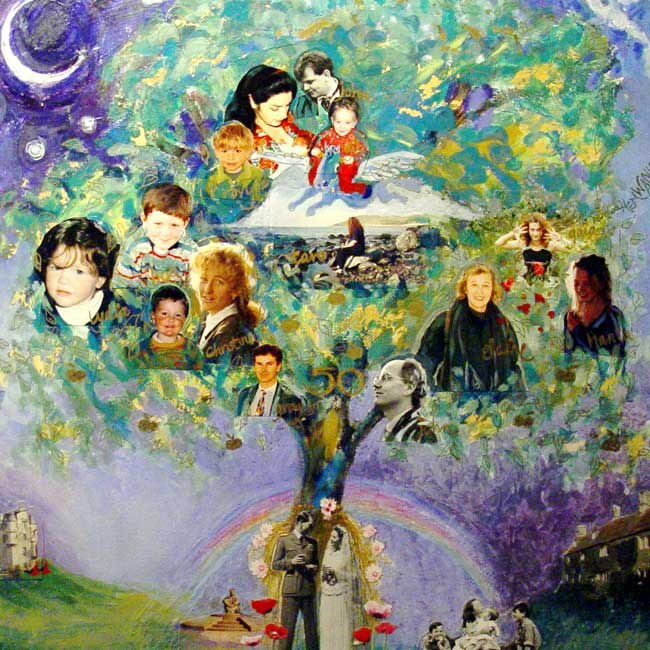 Near the roots fill the most distant ancestors on the trunk (branching family) - their children, grandchildren, great-grandchildren, their spouses, etc. Include not only names, but dates of life and profession. Although young people are often accused of inability to value family values, often renewed attempts to restore their family tree. They encounter a number of difficulties due to instability of the last century: the Great Patriotic war destroyed many archives, doubled back and ended many lives. Start with interviewing all his relatives, especially the elderly. 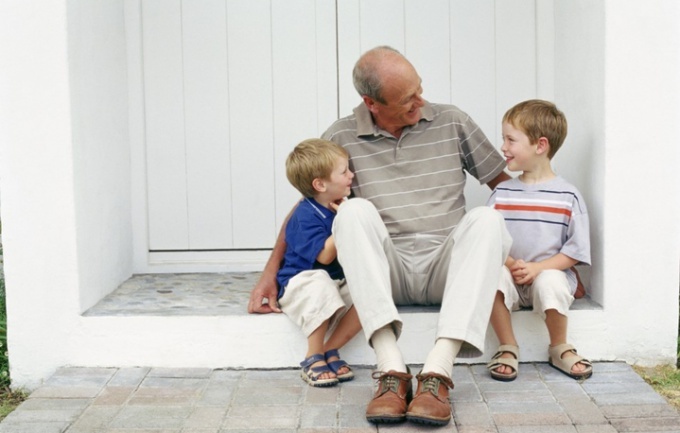 Don't be afraid to seem Intrusive - gray-haired grandparents are happy to plunge into the memories of his youth. However, you have to listen carefully, then to compare and analyze the information: the information collected is not always accurate, something forgotten, something acquires a new meaning. However, this should be your starting point, setting a direction. can try to do everything yourself, but it is better to work in parallel with them: for the professionals to easily open the doors of the archives, they can provide the information that will remain available to you. Disassemble family documents, you will surely find the letters or receipts, which are mentions of certain names of people that are your relatives. Look for information in libraries: there were early references to people with your last name (surname grandmothers, great-grandmothers)? When and where it happened, whether you associate common roots? It is in order that the search was not chaotic, but focused, and you should talk with your loved ones. They will help you to understand where are more likely to live with your ancestors what to do. Use the services of the large genealogical sites that allow you to find the maximum amount of information and to find their relatives, which you might not even suspect. Some of them are free database, others are commercial projects. Please note that the search for information about those who participated in wars, there are separate themed sites. Also, some resources facilitate the task of drawing up the genealogical tree, allowing you to do it with them. It so happens that you need to find a person or organization in Kazan, and you only know the address. In this case, you can find the information you need using one of the methods. The program Doublegis or Gorodinform, telephone directory. Find out the landline phone with the help of the Handbook or additional service which is provided by the telephone exchange. Usually this information is in the public domain. The only exceptions are those subscribers who at the conclusion of the contract with the provider indicated a ban on the placement of information about your phone number in the directories. For obtaining information about the landline phone number of the individual subscriber, living in Kazan, purchase guides in the bookstore or use the help menu on your telephone exchange. Often these services are provided for a fee, in this case, the operator will warn you about the cost of this type of service. Ask for the exact address of the residence of the subscriber and not of actual residence (if they don't match), otherwise you can get false information. Use online search resources such as http://spravkaru.net/kazan/. Enter in the appropriate box the information and click "Search". Be careful when searching phone numbers with the help of other resources - some of these require a mobile phone to send a paid SMS-message. Likely that you'll get wrong information or even you'll be wasting your money. If you do not find the necessary information in telephone books or learned it from communications providers, use search in social networks or forums. Perhaps among those people who use this mode of communication, there are those who knows the right person and will tell you his phone number. If you need information about any organization, use of electronic directories or Doublegis Gorodinform. Type in a search query the name of the directory, go to the official website of your desired directory and install the program on your computer. Run it and in the search box, type the known address. The system will give you a phone number that is registered on this address - it will be reliable information. Knowing only a phone number to find the location of the apparatus is simple, and it does not matter whether you are in the Russian capital or in any provincial city, for example, in Kazan. - access to the Internet. 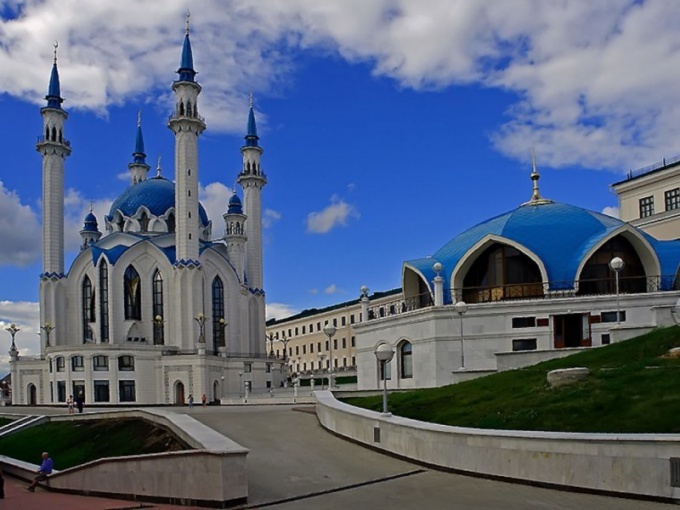 The population of the capital of Tatarstan is around half a million people, most of whom have mobile phones and landlines. All devices, which are located on the territory of residential and industrial premises, have a legal address, which means that their location it is possible to find. In that case, if the phone number that you have belongs to any organization or firm, then the search becomes much easier. You can use the popular program 2gis, which is an e - guide filled with information about all organizations of Kazan and other Russian cities. Select the map your cities and then make available to you a room in one of the fields, and the system will give you the details of the office. If the phone belongs to an individual, you have to try to get his address. The first option - you can find the address you are interested subscriber via the Internet, namely the large amount of resources, which is a specialized database of telephone subscribers of the cities of Russia. But we must remember that the use of such materials may be prosecuted, and that the relevance of these bases you no guarantees and it is possible that the desired number is already owned by someone else. The most productive way to get all necessary information will the request to the Central address Bureau of Kazan. It is located at the address: Kazan, Tverskaya street, the house 10. In that case, if you for some reason are unable to visit this establishment, you will certainly help on the phone 8 – 843 – 53 – 35 – 33, where 843 is the area code. The consultation is free, but be prepared for the fact that you have to spend a lot of time filling out the application according to which you can provide this information. Also you can get the address by using commercial reference. It is enough, while in Kazan, dial 09. The operator will provide you with the address, and, if need be, connect you with the caller.